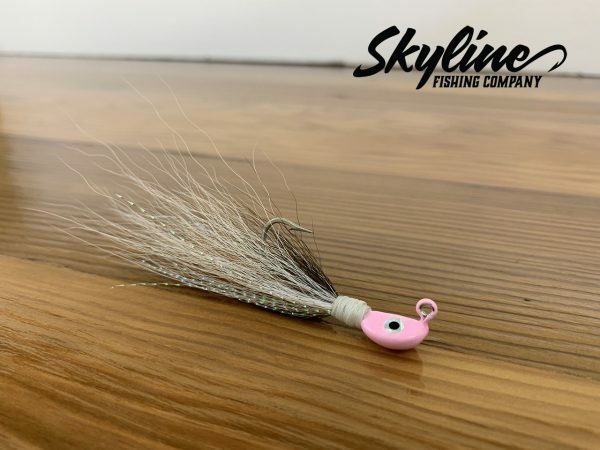 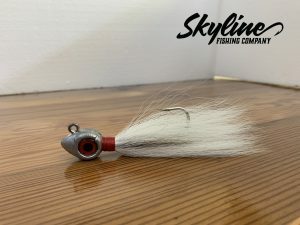 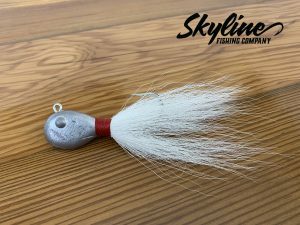 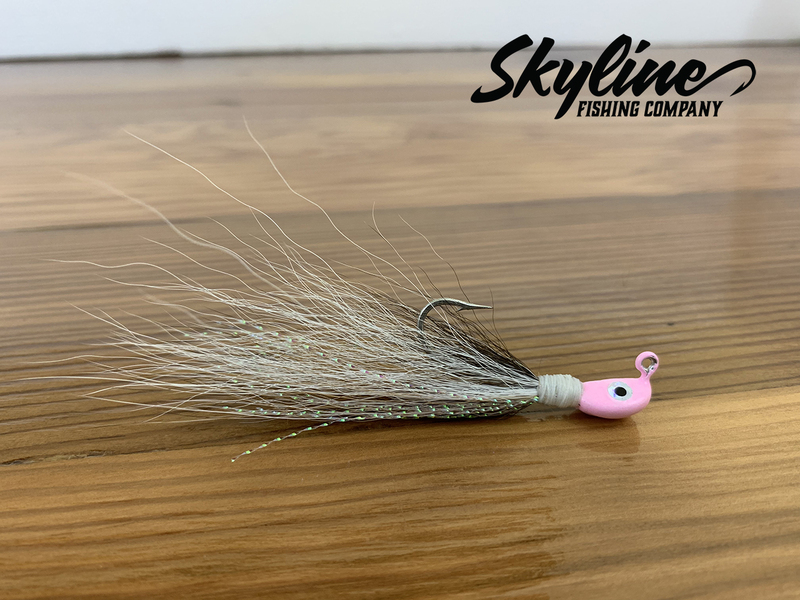 The Skyline Ghost Bonefish Jigs is a old school bucktail that is a favorite amongst Bonefish fisherman on the skinny water flats. 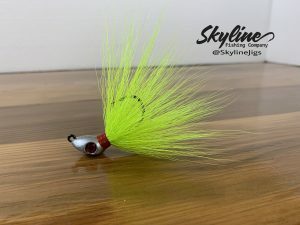 With added Krystal Flash that allows some extra shine in the water. These jigs are a bonefish catcher. 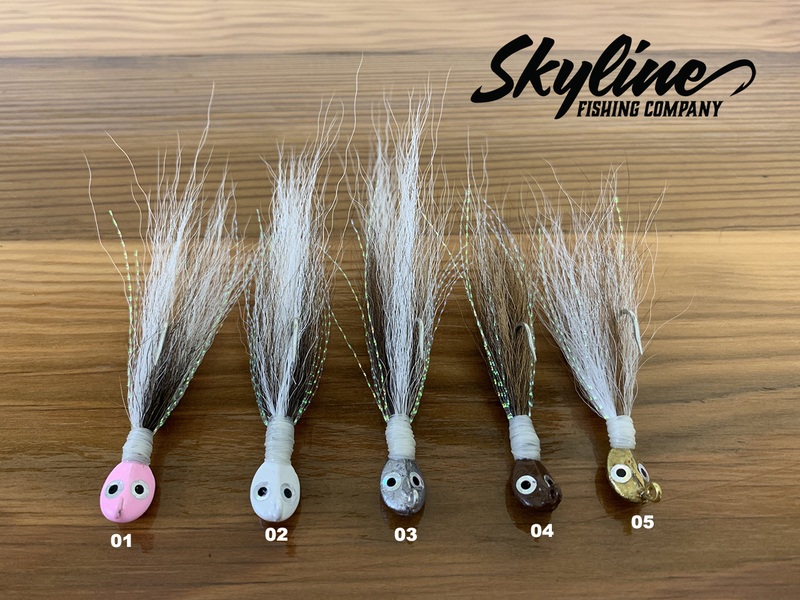 Available weights 1/8 oz., 3/16 oz, 1/4 oz.